I believe this now. I believe in the power of our thoughts and our words. I believe in their power of creation. I can’t help but believe it because experience has taught me that it is true. What could be the harm in believing this? 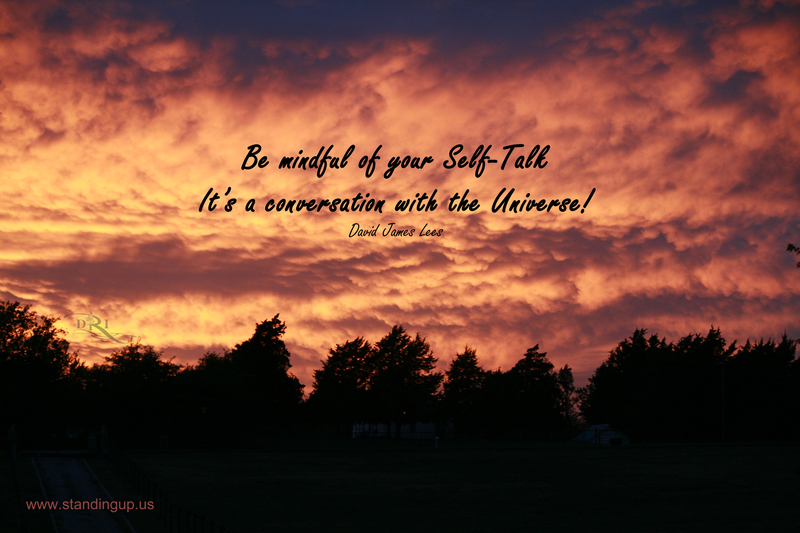 Bringing your own thoughts to a conscious level can change the dynamics of our life! Is it possible that we are not even aware of how cruel we are to ourselves? Is it true that in our minds we utter negative things about ourselves that are so diminishing that we would never want anyone to hear us? What words do you use to describe yourself? And if they are negative, what possible good can come from that? And if you say them aloud what are teaching people about how much Love you deserve? And what if people that are cruel to you are in essence the mirror to remind you of the truth? The Power of Self-Love. What if every person who enters your life is part of a Universal plan to bring you to self-love? What if every moment is a perfectly orchestrated synchronicity giving you the opportunity to honor your human value? What if at any moment we could choose healing over pain, love over hate, freedom over control? And what if every single person can choose to create the most loving life possible if we can just decide at all levels of our being that we deserve it? These are the questions I have spent over three decades pondering. My quest for freedom and peace became an internal journey. I now rest assured knowing I do deserve love, healing, and freedom and I am living it. I believe we all deserve that same gift. We have always been able to heal and live free. It requires that we embrace and accept ourselves exactly where we are. Instead we choose to endure pain, denying our self-worth, all on a quest for love and acceptance while never giving it to ourselves. It is our desire to control the outcome that often causes our pain, coupled with our fear that we are doing something wrong. We don’t want to fail or be seen as bad. To awaken, consider that we do not need to control others, nor be controlled. We need to see that we are enough, completely worthy of love and acceptance. Our wholeness comes from within. However, before we can experience this freedom we must begin to doubt all of our truths. We must reveal to ourselves the unconscious beliefs that are ruling our lives. Begin now, be that person who loves you unconditionally. Listen to your self-talk and learn what you believe and ask you if you really want to continue believing that.